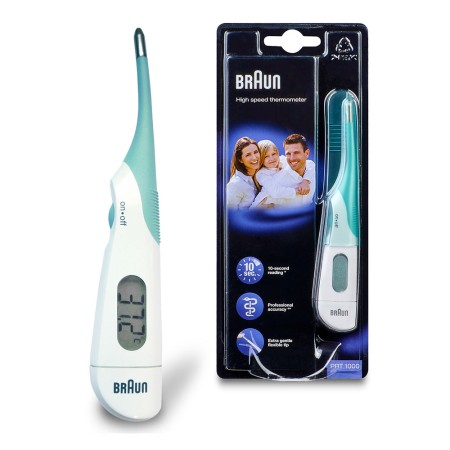 The Braun High speed PRT1000 3 in 1 digital stick thermometer allows for professional accuracy and is suitable for oral, underarm or rectal use. 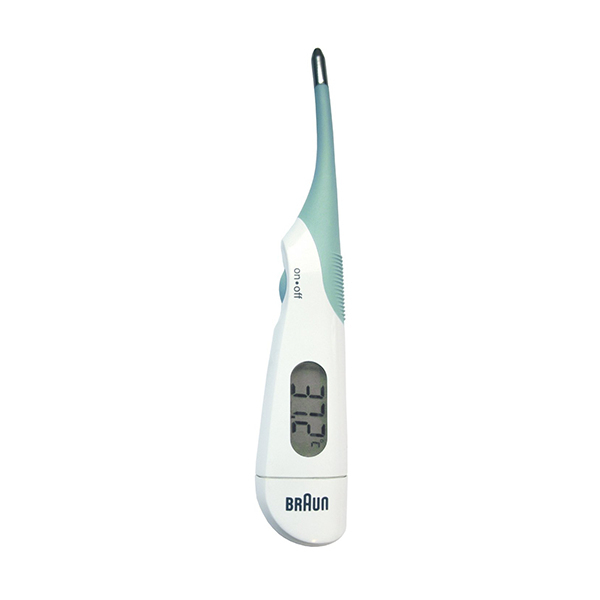 - Thermometer brand most used and recommended by doctors. - Reading in ten seconds. - Flexible and soft tip for extra gentleness and comfort. - Memory feature allows user to monitor temperature changes. - Easy to use – a beep confirms the end of a reading. - Waterproof for easy cleaning and disinfection.